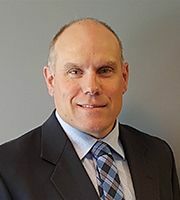 Bernie Pimm is the current head coach of the Stanstead College Varsity Girls Spartans, a team that has won the North American Prep Hockey Association league and playoff title three years running and ranked as one of the top prep school girls teams in Canada. NCAA DI and CIS coaches - details coming soon! The Elite Girls Hockey Camp is geared towards individual player skill development. Players improve on all the skills that make a complete player. Our experienced coaches know how to break down and teach specific individual skills that players need in order to play at the next level. Approximately 14 hours of ice time starting on July 20 in the morning and ending July 25 in the afternoon. Skating: Skating is the basis of any good hockey player. Morning sessions will have a skating focus. Players will work on the following, both forward and backwards skating: edges, balance, transition skating, stride, stops and starts, crossovers, speed and agility and power. Tactical: Building tactical skills through small games and position-specific drills, which are then put into game-like situations.